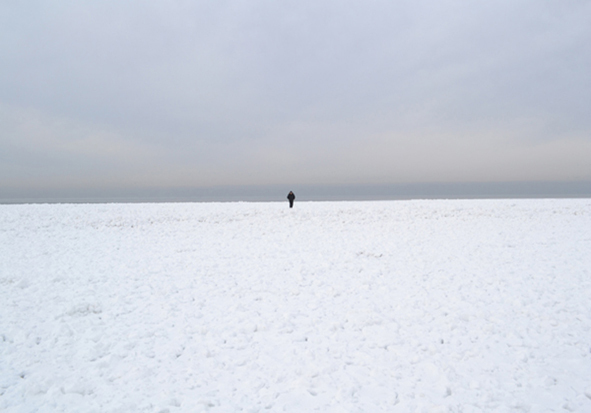 Much as in “The Sea of Ice “ by Caspar David Friedrich, man appears small and insignificant compared to nature. The landscape in these photographs put us in line with the uninhabitated territories of Siberia where nature makes man feel very small, almost invisible. Here, the view of the barren frozen lake reminds us of the vast and empty spaces which are less and less present in the life of the modern man. Yet again, nature and its landscapes offer great contrast with urban landscapes to which the human eye is so accustomed.